Place Rice Squares into large bowl. Set aside. Put milk chocolate chips and peanut into microwaveable bowl. Heat in microwave in 20 second increments mixing in between until fully melted. Pour melted chocolate mixture onto Rice Squares. Toss until coated. Add confectioners sugar and toss again until evenly coated. 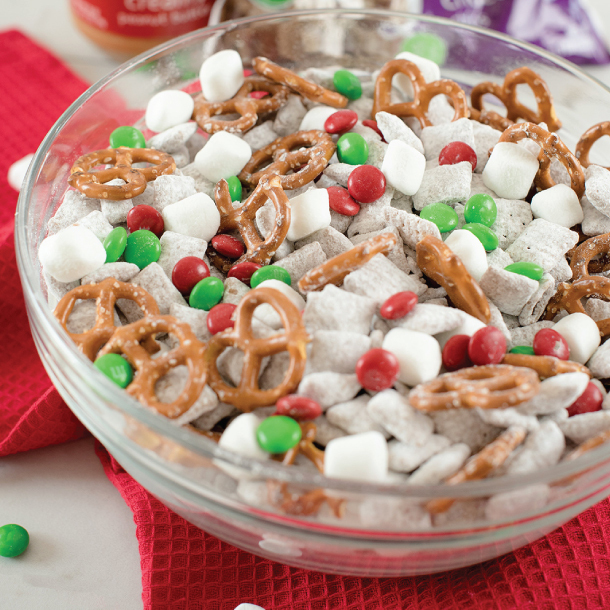 Add in marshmallows, pretzels and chocolate candies. Enjoy!